Nikton Ford - Authorized Retail Dealer of ford mustang car, ford next gen figo car & ford all new freestyle car in Shillong, Meghalaya. There’s a certain feeling you get when you start the engine and hear Ford Mustang’s iconic growl for the first time. Ford Mustang’s design is just as thrilling. A legend for its performance and style, Ford Mustang’s technology is powerful, too. From a voice-activated communication system to Push-button Start, Ford Mustang always finds a way to take your breath away. 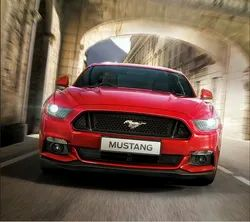 The 5.0l Ti-VCT V8 engine behind Ford Mustang’s high performance power delivers an exhilarating drive. At the same time, sophisticated handling technologies help you maintain complete control. With an extraordinary array of smart technologies – like Ford MyKey®, MyFord Dock® and SYNC® AppLink™- the Next-Gen Figo is built to outsmart its class. With its sporty, dynamic exteriors and smart, cool interiors, the Next-Gen Figo is a potent combination of style and substance. Whichever way you look at it, the Next-Gen Figo is impossible to ignore. With features like 6 airbags (including best-in-class side and curtain airbags), Anti-lock-braking System and body structure created from high-strength steel - the Next-Gen Figo is built to shield you from almost every direction. Drive on feeling safer than you’ve ever felt before. Powerful, Effortless and Fun to Drive. Driving the Next-Gen Figo is a real pleasure. The TDCi and Ti-VCT technologies deliver powerful, refined and fuel efficient engines. A clever way to enjoy the best of both worlds. 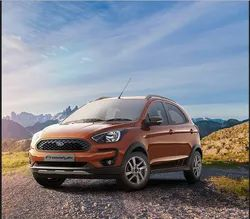 India’s First Compact Utility Vehicle (CUV) from Ford is here. Its SUV-like robust design, powerful engine and versatile features are made to compliment your freestyle spirit. So freely take those chances, go where your heart takes you and live each day with no regrets. Irrespective of the terrain, the Endeavour effortlessly puts you in total control. Whether it’s sand, snow, rock or mud, you can confidently tackle any track, trail or mountain. Advanced sensor technologies are designed to make the Endeavour intuitive to your needs. So this SUV may be big, but it’s effortless to park, as Semi-Auto Parallel Park Assist steers it in for you. No matter how tough it looks on the outside, the 7-seater Endeavour is pure comfort on the inside with leather upholstery and an Electric Panoramic Sunroof. With 147 kW power, our 3.2l TDCi diesel engine is the driving force behind Endeavour’s mighty pickup for hill climb. At the same time, its impressive fuel economy helps you save money. The New Ford Aspire is here to set you apart from others. Its powerful engine propels you ahead in life. Its stylish design leaves a lasting impression. Its technology and safety features put your mind at ease. So, get set to drive the New Ford Aspire. Made for those who don’t believe in following others, but making their own way. The New Ford Aspire is elegantly designed to look distinctive and draws admiration from all directions. With a host of stylish features, the New Ford Aspire ensures that you never go unnoticed. Refreshed Design. Inside and Out. Every inch of the Ford EcoSport is designed to help you do more, get anywhere and make the most of your city life. With a bold new design, the EcoSport always looks like it’s ready for action, because it is. International Engine of the year since 2013, the turbocharged 1.0l EcoBoost petrol engine ensures a perfect combination of fuel economy and power.